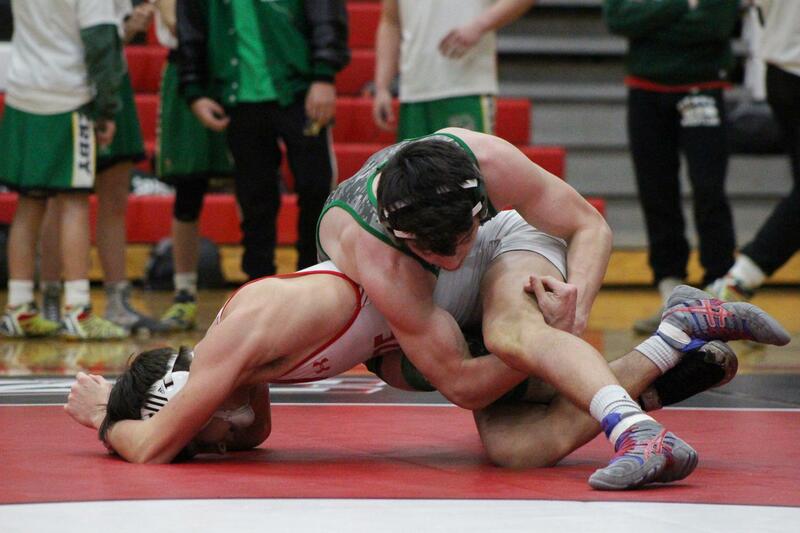 Senior Cade Lindsey wrestling at 170 pounds. 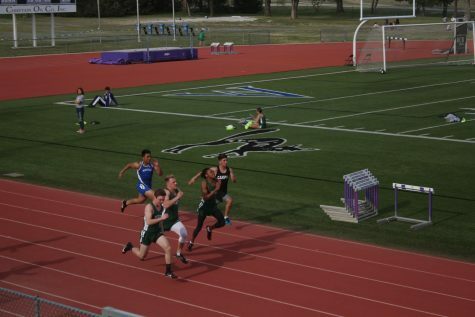 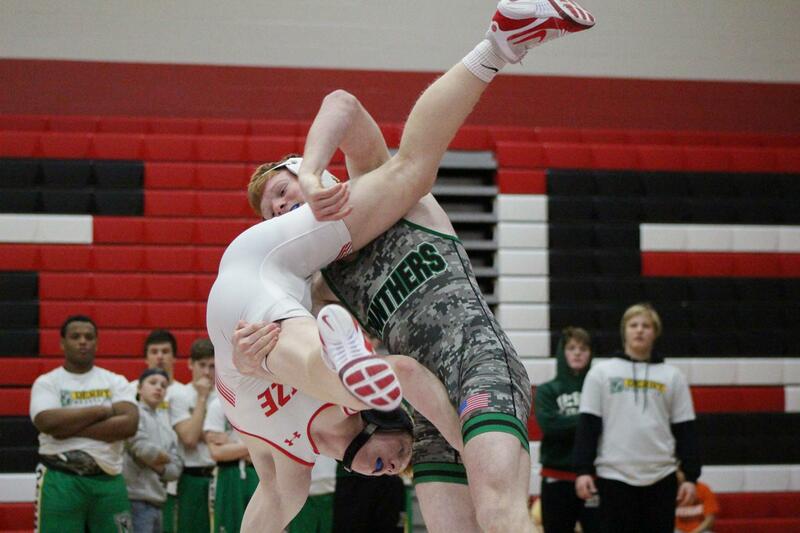 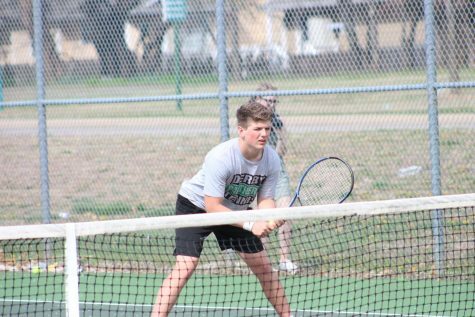 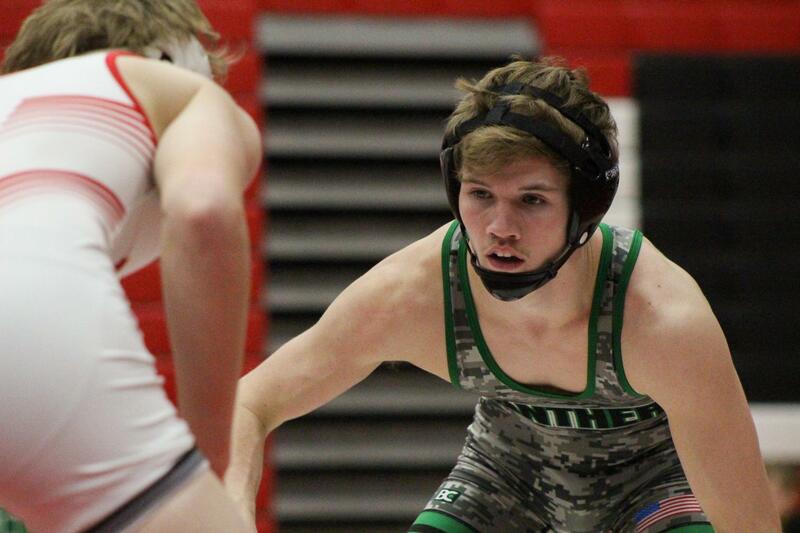 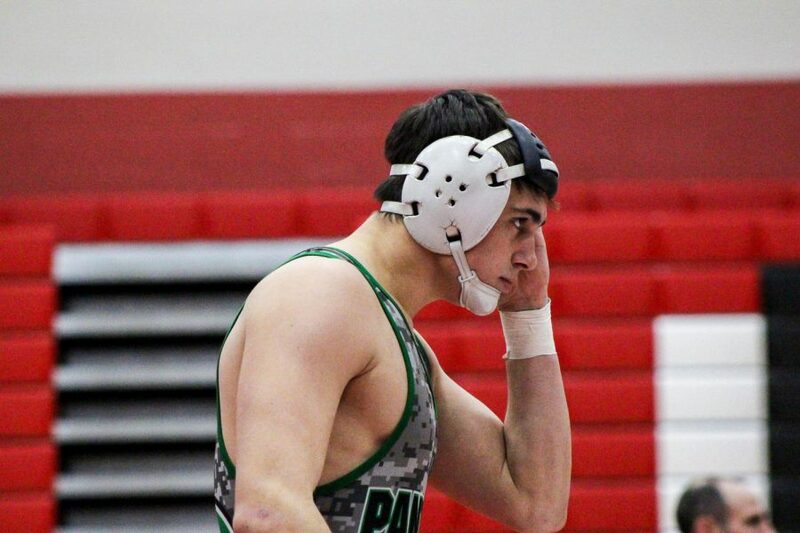 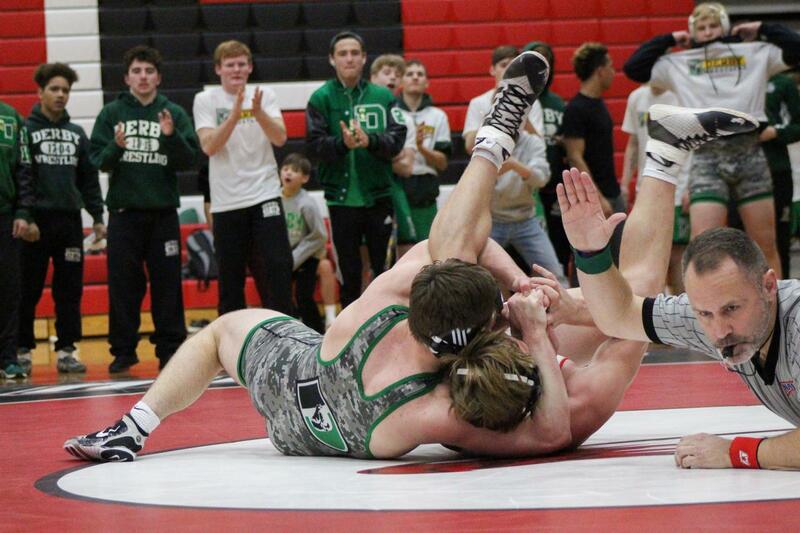 The Panthers lost the dual against Maize 34-32. 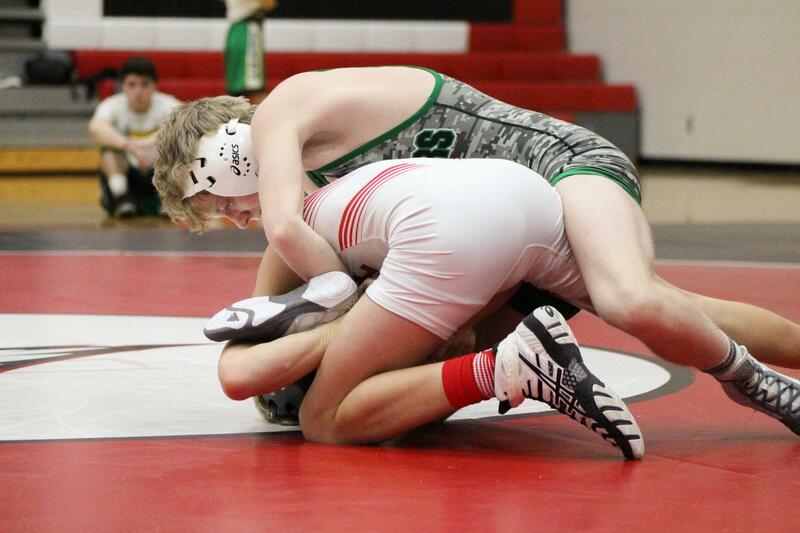 Sophomore Cody Woods wrestling Keton Patterson at 106 pounds. 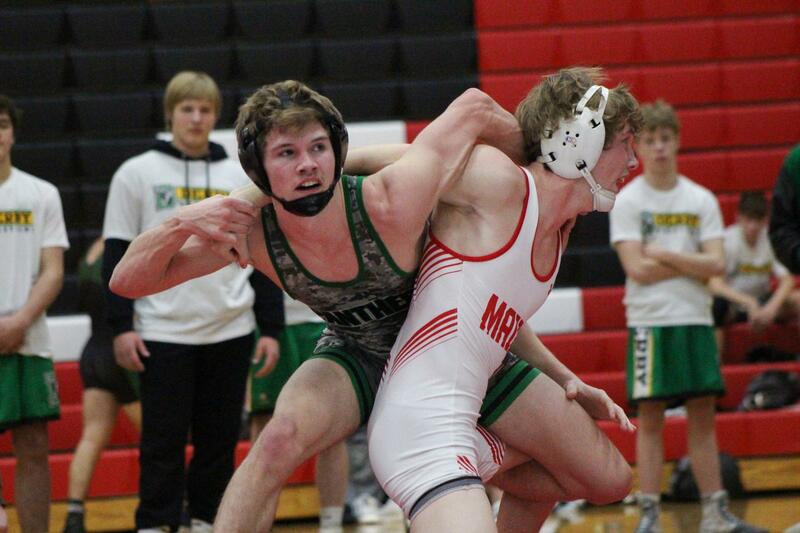 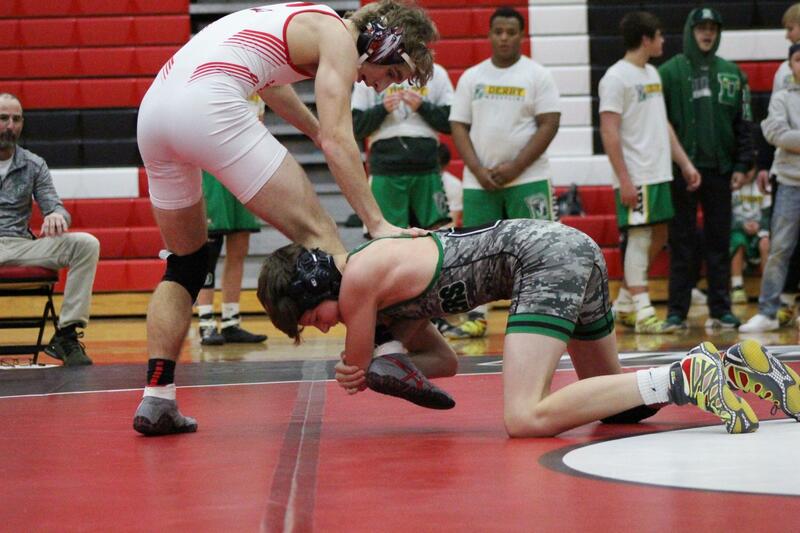 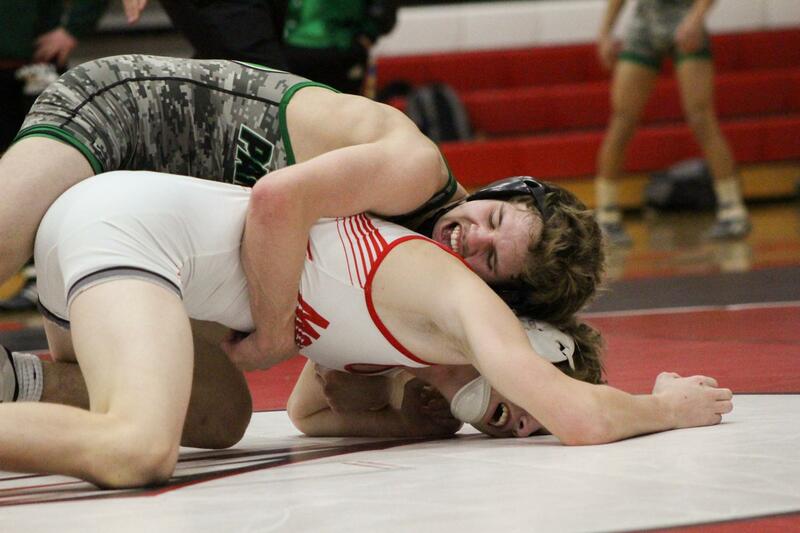 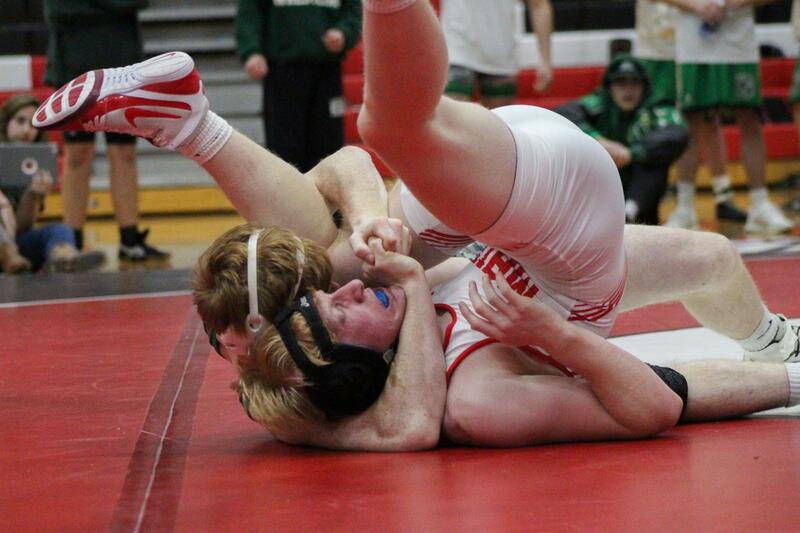 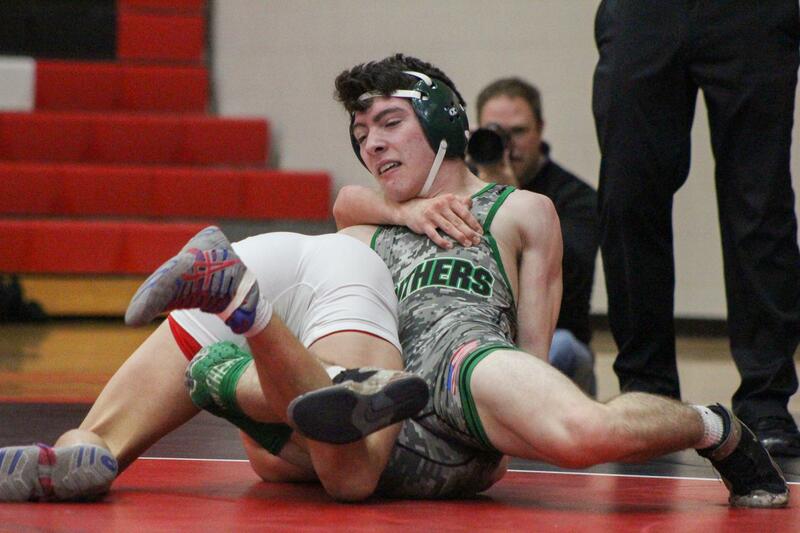 Sophomore Cody Woods wrestling Maize's Keton Patterson at 106 pounds. 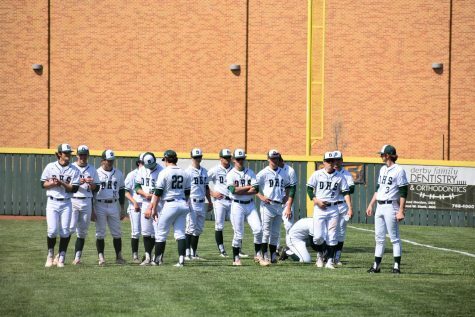 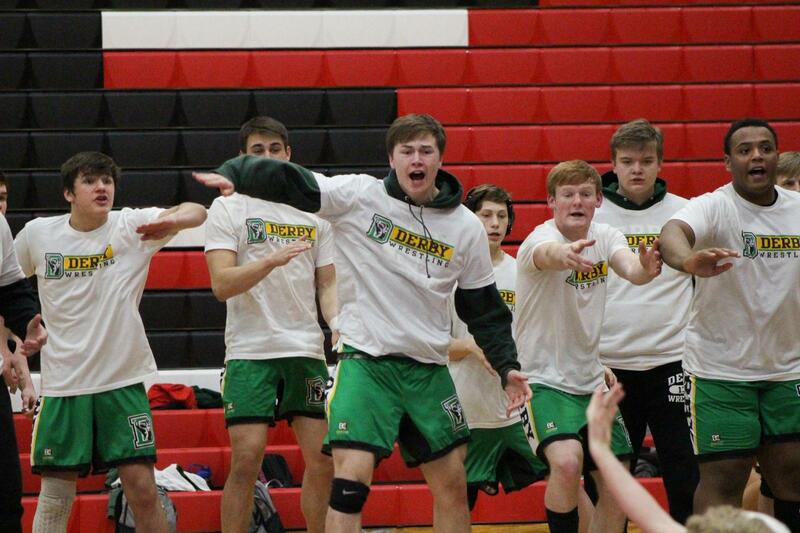 Derby Wrestling team cheers on a teammate. 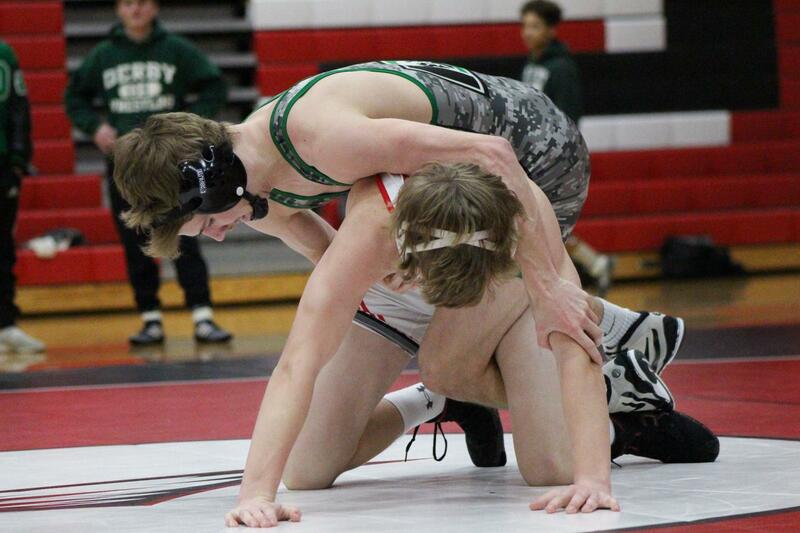 Freshman Gavin Unkel wrestles Bennett Blake at 120 pounds. 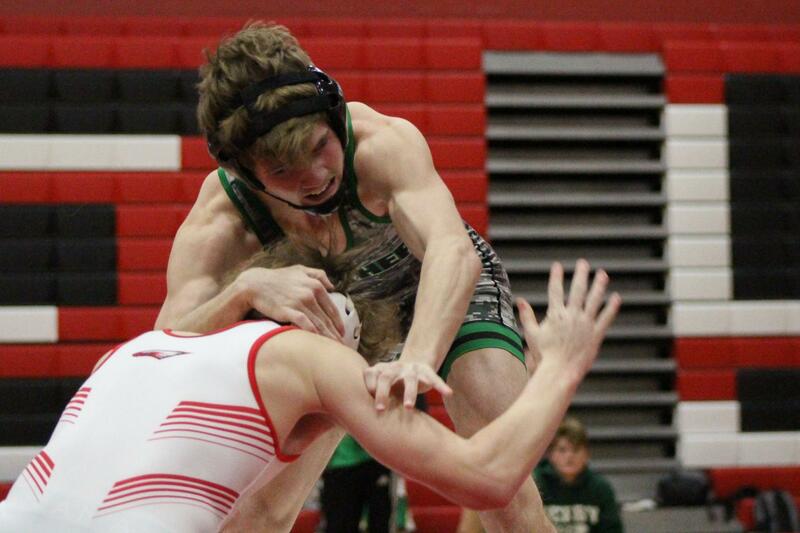 Freshman Gavin Unkel lifts Bennett Blake at 120 pounds. 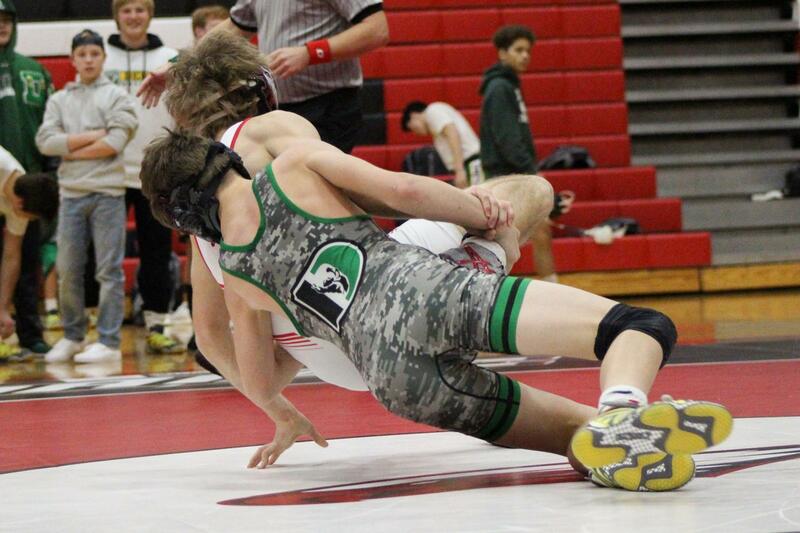 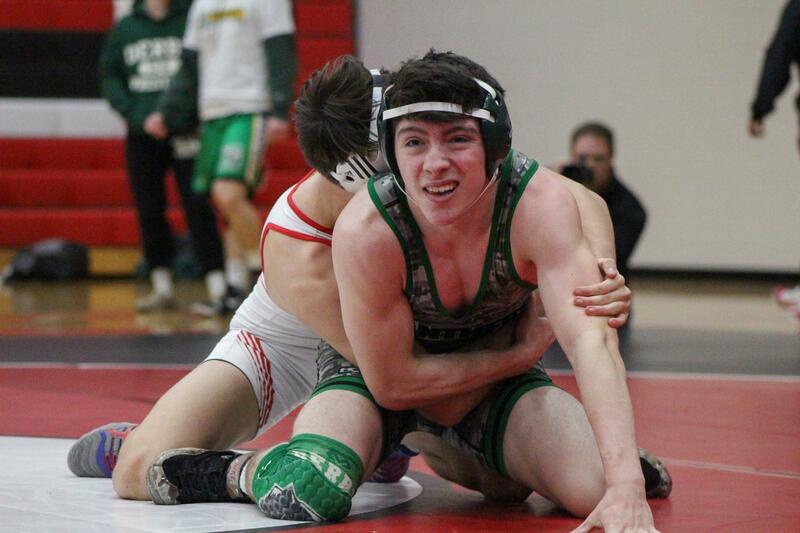 Junior Bryce Wells wrestles Cael Moses at 126 pounds. 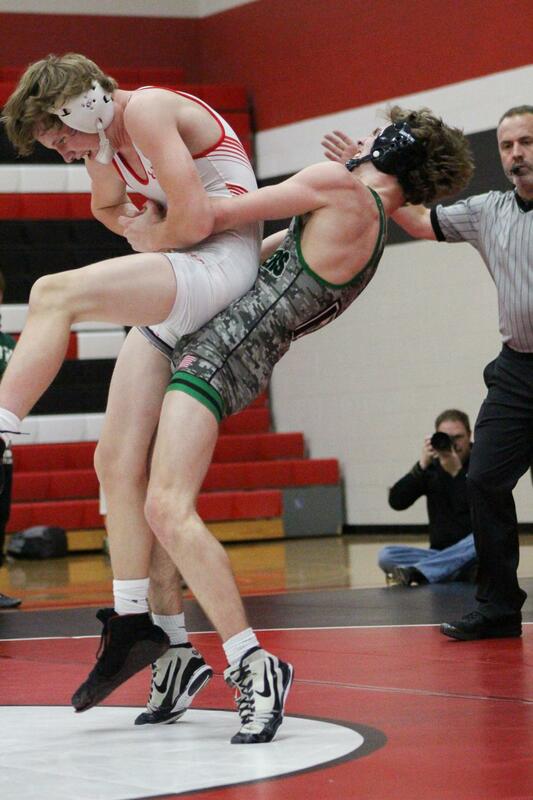 Junior Bryce Wells lifts Cael Moses at 126 pounds. 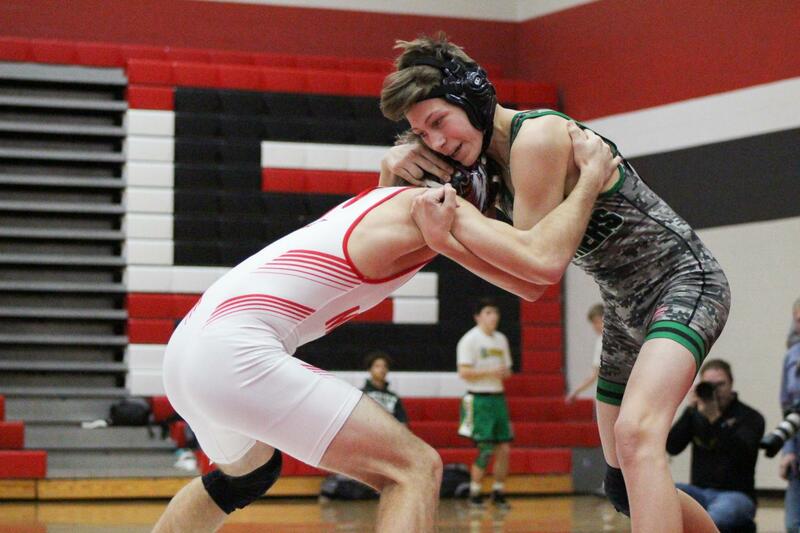 Junior Xavier Sisco wrestles Aidan Campbell at 132 pounds. 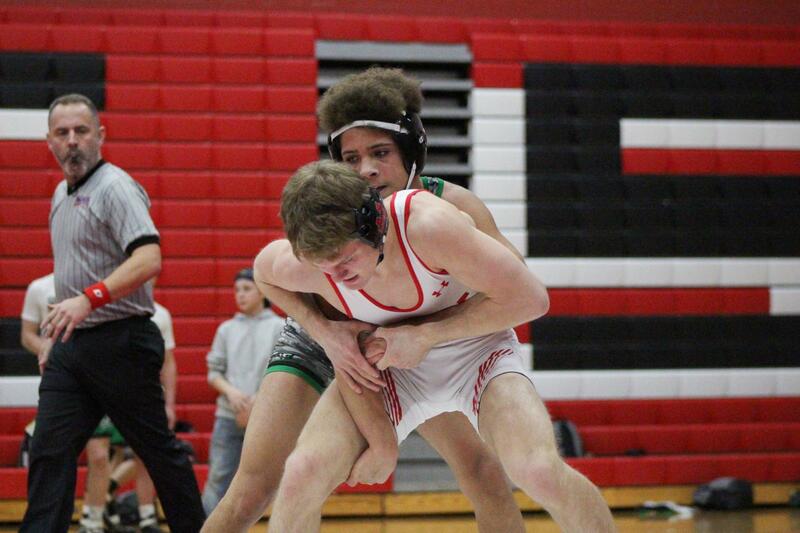 Senior Kobe Grijalva wrestles Cayden Hughbanks at 138 pounds. 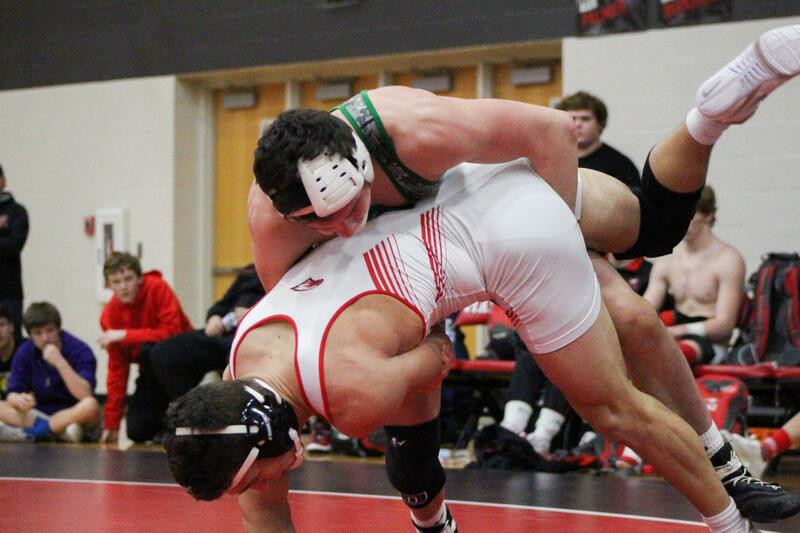 Sophomore Jace Jenkins lifts Christian Sample at 152 pounds. 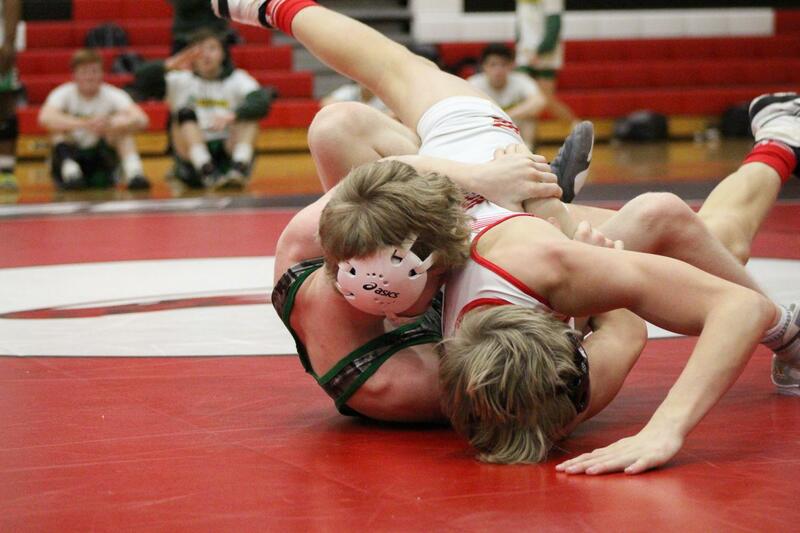 Sophomore Jace Jenkins pins Christian Sample at 152 pounds. 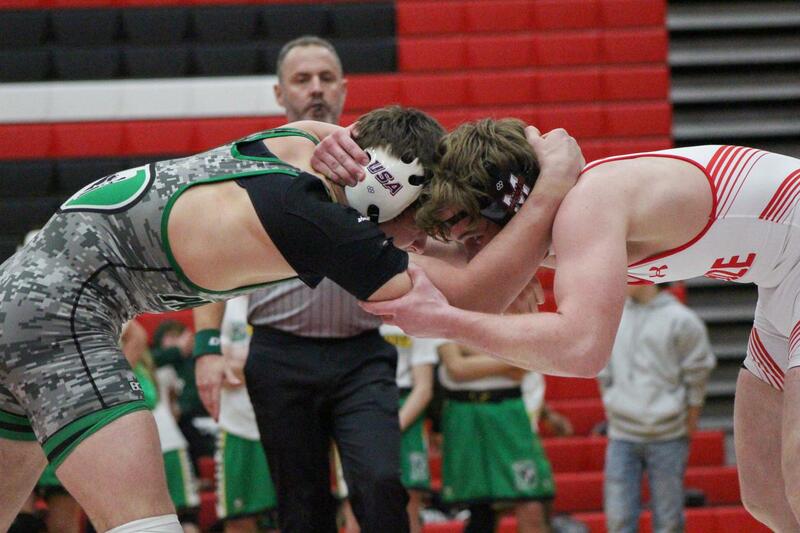 Junior Taidon Wills wrestles Carson Wheeler at 160 pounds. 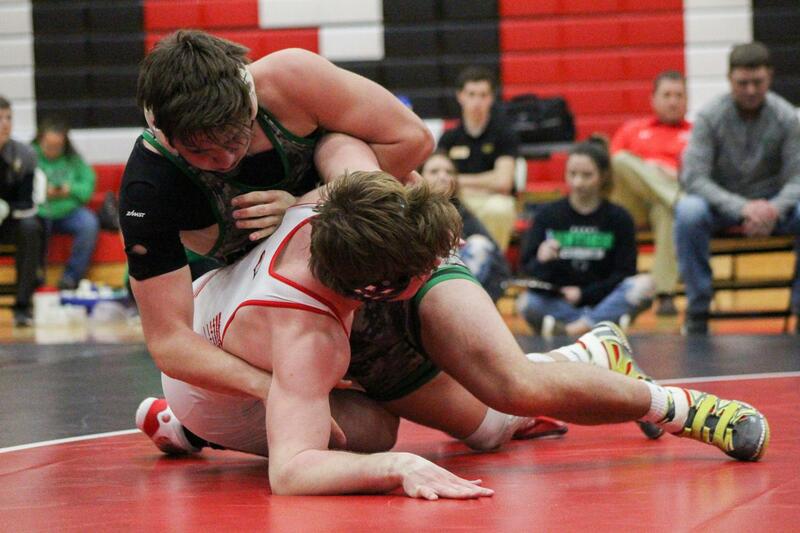 Senior Triston Wills wrestles Kyle Haas at 182 pounds. 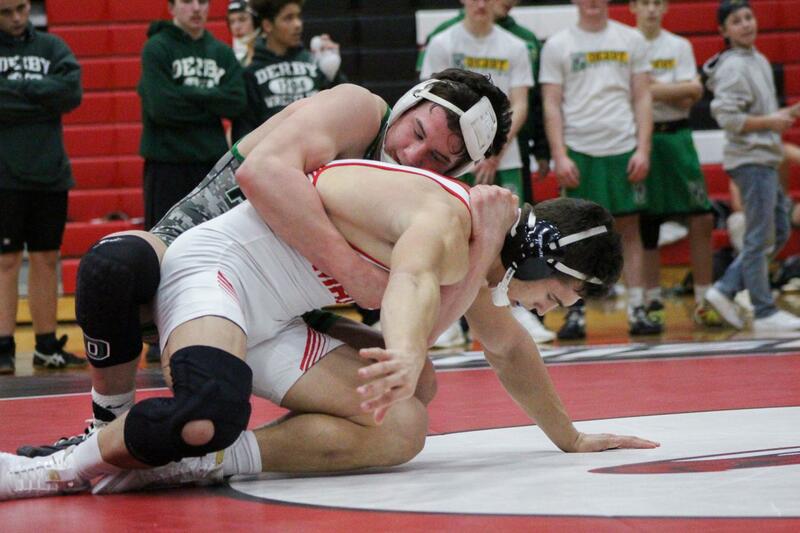 Senior Triston Wills lifts Kyle Haas at 182 pounds. 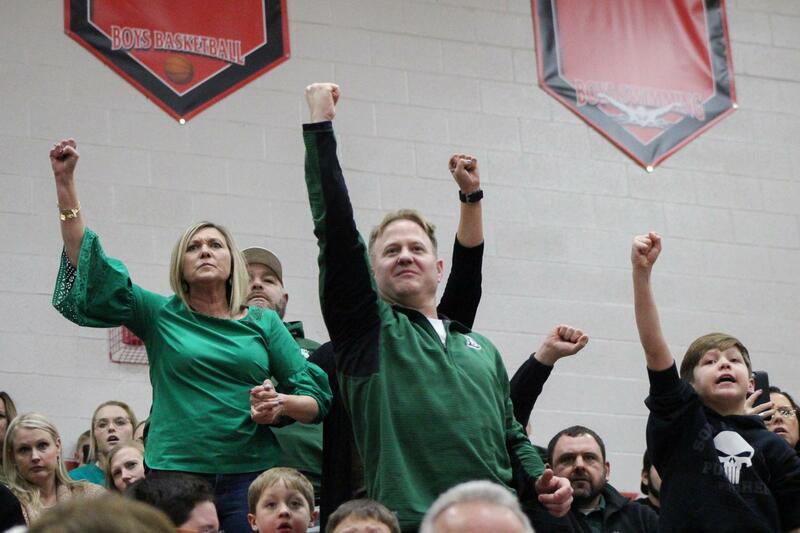 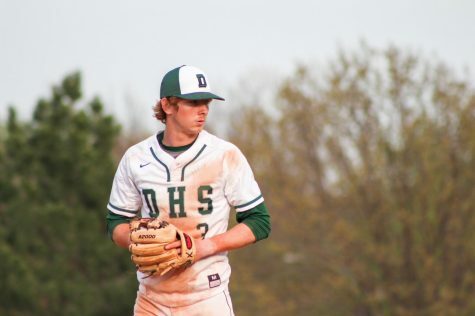 Derby fans celebrate senior Triston Wills win over Kyle Haas. 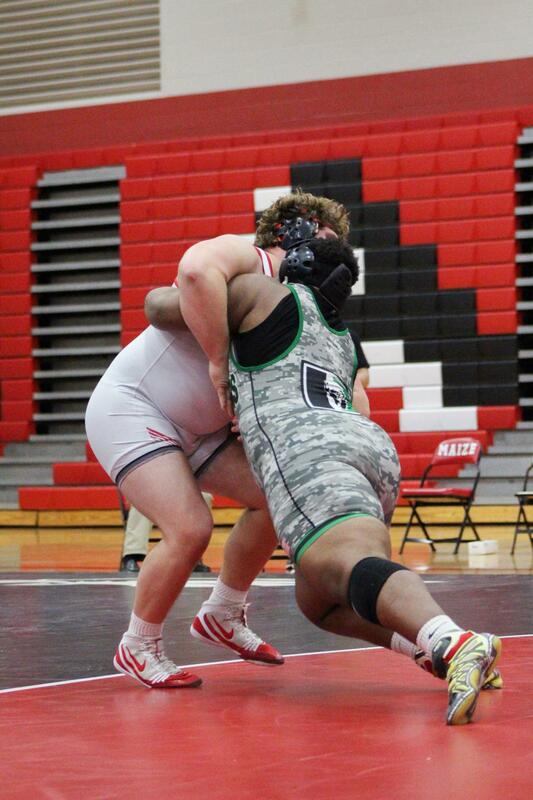 Senior Ronnie Washington pushes Jacob Quiggle across the mat at 285 pounds. 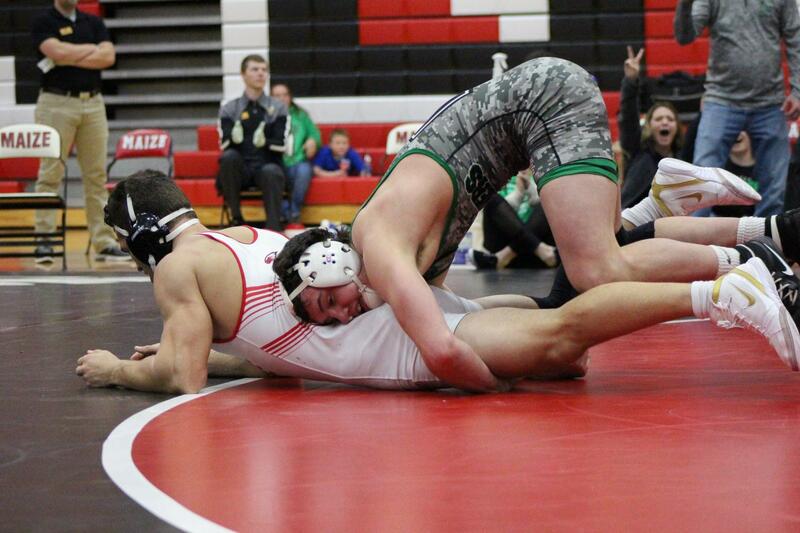 Senior Bryce Westmoreland pins Brett Jesspeh at 195 pounds.